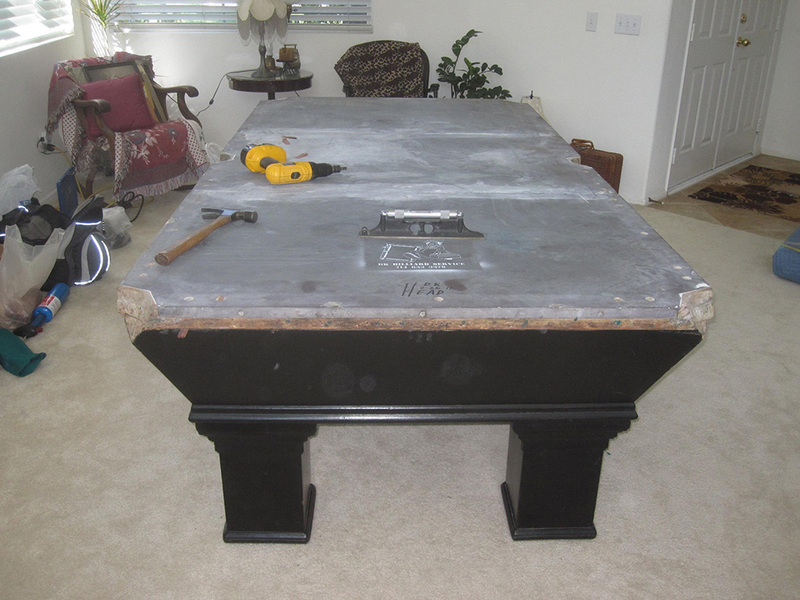 We originally picked up this antique Brunswick pool table in Westminster, CA. 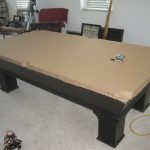 I was told that the original owner of the table had built it from parts he had found in a junkyard. 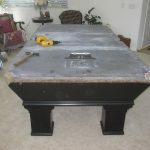 We were hired to disassemble and transport it to the new owner’s home in Corona, CA. 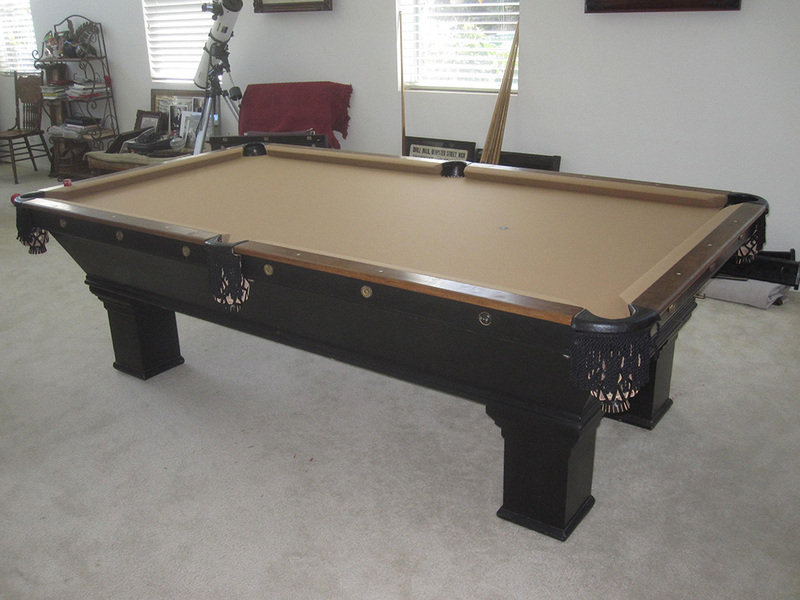 The antique Brunswick was actually staying in the same family, just changing hands from one sibling to another. 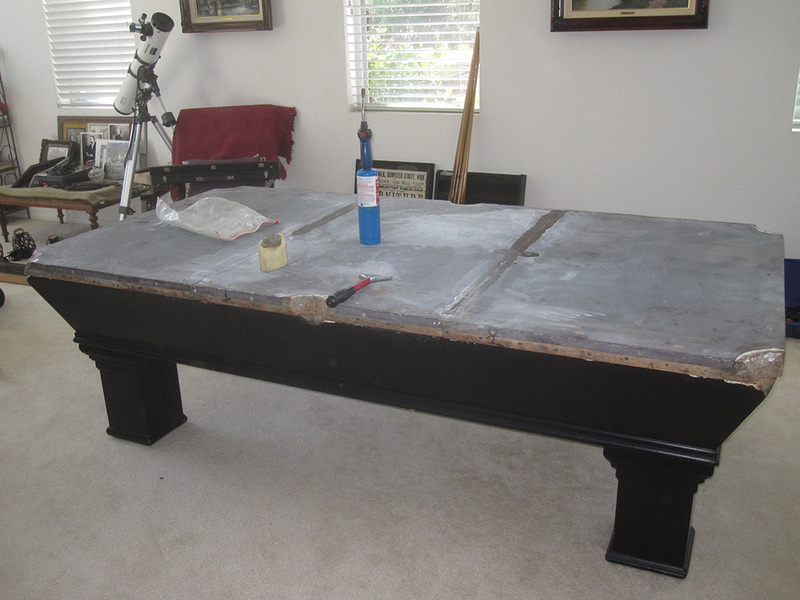 The previous billiard mechanic who worked on this table had replaced the cushion rubber using K-66 profile. Unfortunately, due to his inexperience this was not the right size cushion for this table. Although the rubber was not “dead”, the balls didn’t bounce well off the cushions. 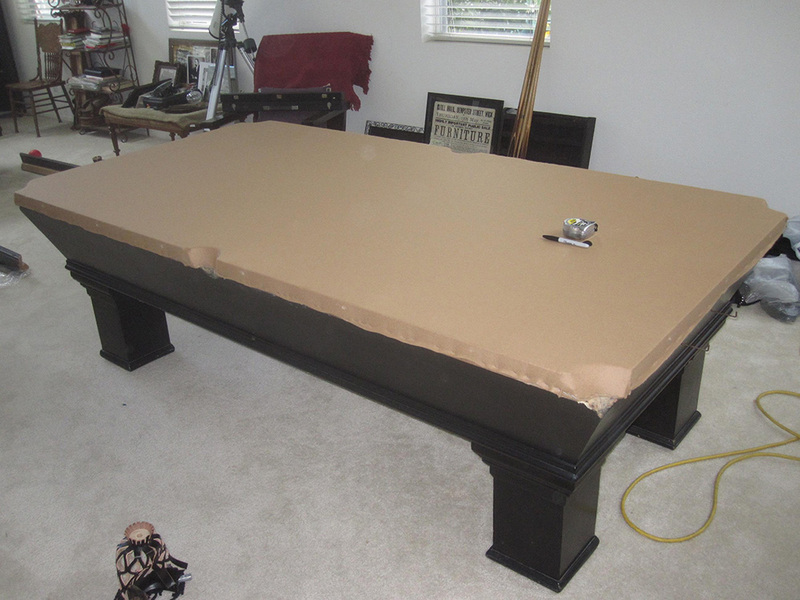 I had to break the bad news to my client, we were originally just going to move and recover the pool table. 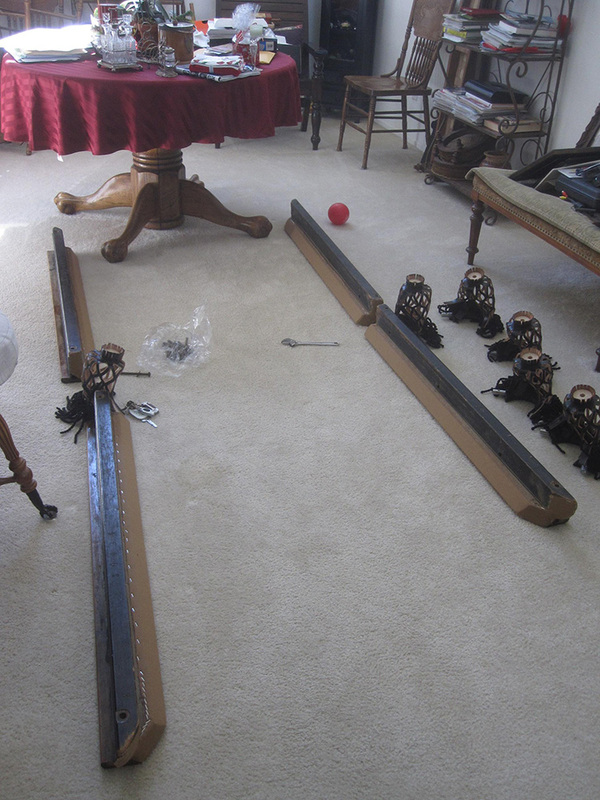 But now, since we found out about the cushion problem we would not be able to complete the job on the same day. 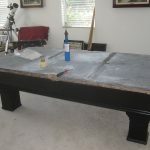 We ended up just driving out to Corona and placing the frame and the slates in the room where the pool table was to be setup. 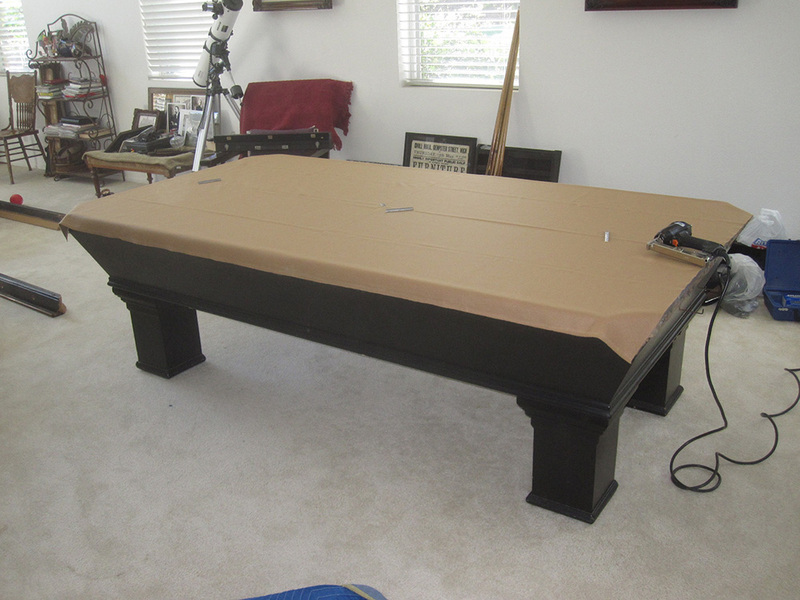 We brought the antique pool table rails back to the shop for cushion replacement, this time with K-55 profile rubber! 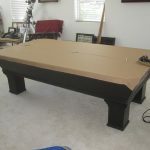 So about two weeks later we returned to the house to finish the install. This looks very similar to my families table. Do you know the model or year of manufacture?